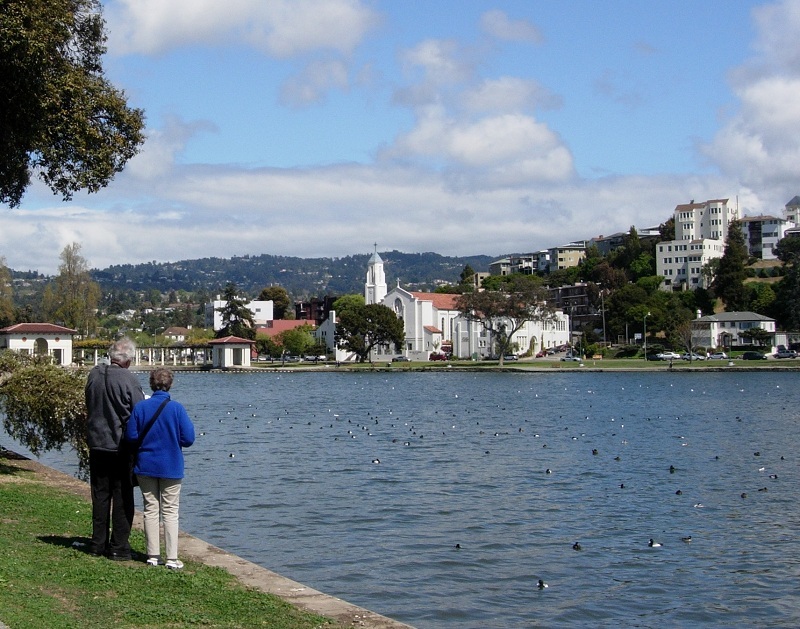 Lake Merritt needs a lot of care and attention to perform at its top level. This view of the pergola at its east end shows one of at least three aeration fountains in the lake. 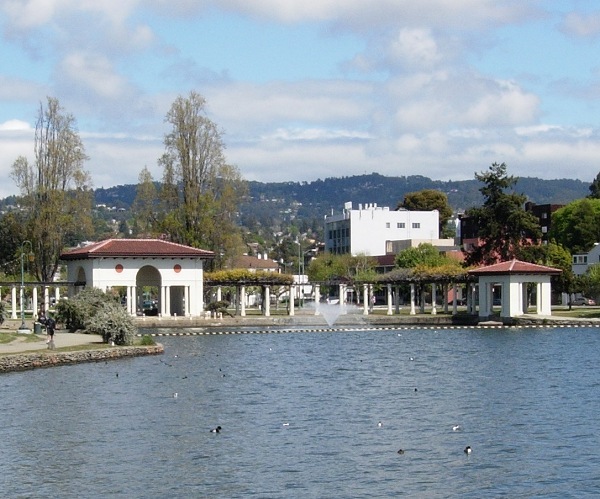 Without the oxygenation provided by these fountains, the organic matter brought in by the tides and streams, and deposited by the abundant bird population, would periodically overwhelm the natural oxygen dissolved in the water and turn the lake into a stinking anaerobic pond. Without upkeep, this site would quickly revert to the tidal marshland that it once was. That would be nice in its way, but city-dwellers would probably complain about it. Just for kicks, here’s a postcard-type view of this end of the lake taken last weekend. This entry was posted on 25 April 2008 at 11:57 am and is filed under Oakland geology views, Oakland streams and water. You can follow any responses to this entry through the RSS 2.0 feed. You can leave a response, or trackback from your own site.